In an early scene from the groundbreaking documentary "Gardeners of Eden," a newly rescued infant elephant thrashes in fear and confusion in a stable outside Nairobi, Kenya. He cries out, terrified, in the night. Recently orphaned, most likely by poachers who slaughtered his mother for her tusks, the grief-stricken little elephant had no idea where he was and what had happened to him. But at least the frightened young fellow was in the best place he could be right then, given the tragic circumstances. He was under the care of The David Sheldrick Wildlife Trust, a field organization that works to protect and rehabilitate the youngest victims of the poaching crisis. If anyone could save this injured, terrified calf, they could. However, this is a difficult time for elephants - especially for young, milk-dependent orphans. Although the Trust is the world's most widely successful rescue and rehabilitation organization, even they can't save everyone. Some orphans are too injured or traumatized when they arrive at the sanctuary to survive the transition, unfortunately. And so, "Gardeners of Eden" presents us with two powerful questions. What does it take for an organization like The David Sheldrick Wildlife Trust to help vulnerable orphaned elephants grow up and thrive in the wild? And what can we all do to prevent these baby elephants from becoming orphans in the first place? Why everyone should see ''Gardeners of Eden." Elephants DC had the pleasure of seeing "Gardeners of Eden" at a recent screening in Washington, DC's Environmental Film Festival. "Gardeners of Eden," a Village Beat Production, is directed by Austin Peck and Anneliese Vanderberg. It tells the incredible true story of one organization's dedication to lessening and reversing the devastation of the ivory trade. The Trust's struggles to protect Kenya's vulnerable elephants, even when all the cards are stacked against them, is truly inspiring. For the outlook, unfortunately, is a grim one. From the moment the film opens, we learn what horrifyingly powerful forces they are up against. Poachers are murdering more than 35,000 elephants a year - one every 15 minutes. Eight of 10 elephants don't die natural deaths in today's world. 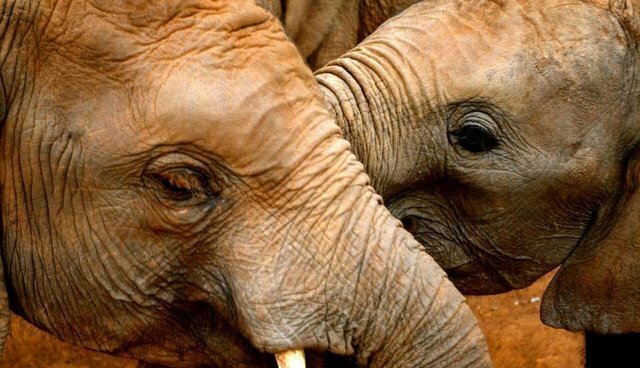 At this rate, they could be extinct across the open African landscape by 2025 - and all because of one reason: people crave their ivory tusks. "Gardeners of Eden" teaches us that "ivory buying is not a victimless crime." We also learn that, far from being removed from the crisis, the United States is the world's second largest consumer of ivory products. Our demand for ivory is threatening the very existence of elephants on our planet. And it takes its toll on infant elephants like Matope, and countless others, in heartbreaking ways. As the Trust's founder and matriarch, Dame Daphne Sheldrick, says in the film, "ivory has to be totally outlawed." "Gardeners of Eden" walks us intimately through various aspects of the Trust's work to protect, rehabilitate and restore the ivory trade's youngest victims. We watch as adorable baby elephants drink milk from bottles and frolic in the trees with their keepers. We hear from a local villager who speaks candidly about village poverty and poaching. The need to feed his family, he says, makes him break into a national park to hunt for elephants. We walk through the bush with the heroic anti-poaching rangers who risk their lives protecting wild elephants from the snares, bullets, and the poison arrows of poachers. We rush alongside the emergency veterinary crew as they drop everything to find and treat a wild elephant suffering from multiple poaching wounds. And, miraculously, we see the Trust helping its now-grown orphans transition back to the wild, join wild herds and discover on their own the true joy of being a wild elephant. It's a triumph - and a particularly important one, for Kenya needs all the wild elephants it can get right now. As "Gardeners of Eden" shows, elephants are not only intelligent, emotionally complex beings, but also keystone species in their environment. Their foraging and roaming keeps their entire ecosystem intact - from the grasses and trees, to the other animals who share their home. Elephants are gardeners, and our planet depends on them. "Without elephants, a lot of other species would go extinct," Dame Sheldrick explains. 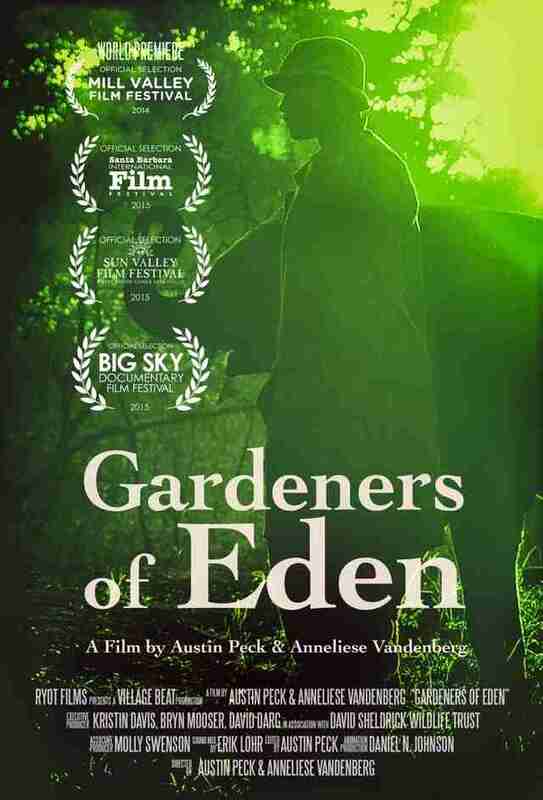 Ultimately, "Gardeners of Eden" is a film filled with moments of heartbreak and outrage, but also joy. We dare you not to feel even just a little delighted when a young precocious orphan swings and shakes his trunk mischievously at the camera. And if you're not moved when you hear the orphans' keepers talk about their charges with such tenderness, empathy and compassion ... well, then, you might not be entirely human. The film is a powerful call to action to save elephants while we still can. It's an honest and devastating look at the destruction caused by the global ivory trade. And most importantly of all, it's a moving reminder that the story isn't over yet. 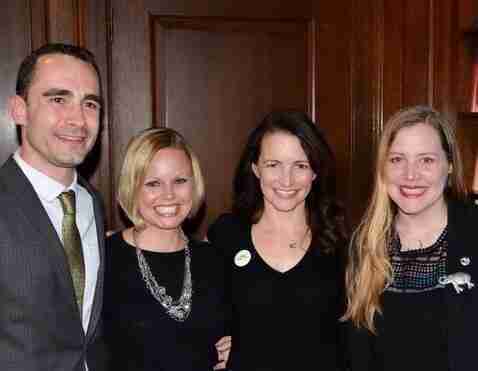 As the film's executive producer (and patron of the Trust) Kristin Davis says, "As bad as things are, you still have hope." How you can see the film, and help these elephants. "Gardeners of Eden" will be available in America on the Pivot channel beginning May 6. Watch a preview of this incredible film. Above all, remember the baby elephants under the Trust's care, and all the others. Never buy ivory, and support efforts to end the trade once and for all, at home and worldwide.